THE economy of Port Moresby has been given a K25 million boost by hosting of the FIFA Under-20 Women’s World Cup Soccer championship. The beneficiaries include service providers like hotels, PMV buses, private hospitals, motor dealers, caterers, tourism, arts and craft and small and medium enterprises alike and more than 1000 youths, contracted to help. 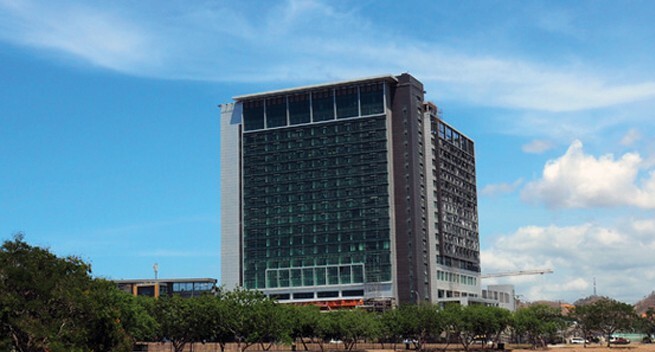 There are at least six major hotels in the city of Port Moresby that have been fully booked accommodating all 16 nations (PNG included). More than 300 vehicles were bought for use by these nations, about 20 PMVs in the city are contracted for the duration of the game to early December to provide transport for officials and other services to the game. At least three hotels say that for the next four weeks they would be very busy with meals and all other facility and programs as hosts to individual world nations participating in the tournament. One hotel said they had to engage the services of an outside caterer because the workload was just too much. This major hotel prepares 900 meals a day for the FIFA teams lodging there. They also have to cater for all other services. This will be for the next four weeks and they have been paid about K7 million for the services rendered to FIFA. Another hotel said that they had benefited from at least K3 million through the World Cup, but it had come with a lot of work to provide almost 500 daily meals and other services needed to suit the team players and officials. One other hotelier also spoke of the benefits they are receiving as PNG hosts the FIFA U-20 Women’s World Cup in Port Moresby. "We have a lot of responsibilities right now but yes, we benefit, they benefit from our best service. And about the meals we provide more than 400 meals a day and that is huge," the official said. Not only will the hotels benefit, the spin off benefits from FIFA U-20 Women’s World Cup will give the incentive to create infrastructure, promote international exposure and increase tourism and business alliances for those in Papua New Guinea.